"Near Cohutta Wildlife Management Area"
SOLITUDE FOR SALE Superb opportunity to own 5 heavily Wooded Acres of old-growth Hardwoods and 400+ feet bordering the U.S. National Forest. 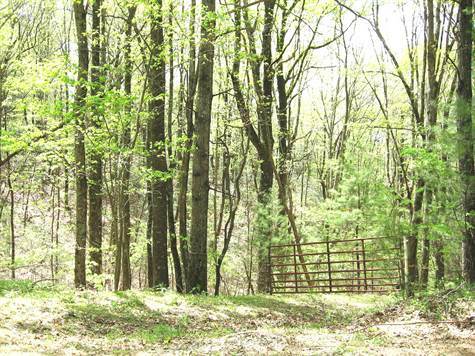 Estate sized tract with gated entrance, electricity & potential USFS views with easy access. Southern boundary joins Tatum Mountain plus 3,600+ acres of National Forestry seclusion. Cohutta Wilderness & Lake Conasauga nearby. Soil science complete - Moderate restrictions - No HOA. Hike the Pinhoti extension of the Appalachian Trail just across the road or trek through Fort Mountain State Park within minutes of your door. Convenient commute to Ellijay, Chatsworth or Dalton. Enjoy a Magnificent Mountain lifestyle from this Prime location. REDUCED - Possible Owner Finance Terms. HORSE OWNERS TAKE NOTE!